Suggested itinerary for 2 days in Hong Kong and 1 day to Macau trip? Can you please suggest an itinerary for our HK-Macau trip on Sept 23-25,2010. We are arriving in Hong Kong International airport at 7:40 am on Sept 23. We are planning to stay at Ramada Hotel in Chatham Rd, Tsim Sha Tsui. From the airport, how do we get to Ramada Hotel? How long would it take us to get there? We plan to go to Macau on the 2nd day for just a day tour. On our last day, we are taking the 7:30pm flight back to Manila. Would it be possible for you to include the fares & fees & time it would take to travel from one destination to another? Comments for Suggested itinerary for 2 days in Hong Kong and 1 day to Macau trip? Hi! kindly help me in arranging our itinerary on our visit to HK on Aug 26-28.. we will be arriving at the airport at 9:55 am on 26th and departing at 10:40 am on 28th so basically it's just 2 days..
On our 2nd day, I'm planning to have the Ngong Ping 360, giant buddha and disneyland on the same day.. I'm having trouble now on our itinerary on our 1st day.. can you suggest what can be our next destination after Nan Lian Garden? we will be staying at Tsim Sha Tsui.. thanks!! Hi, my son, mama, and myself will be arriving HK on May 20 7PM and depart @ 9AM of May 23, 2014. Please help me out for this trip coz I ma responsible for this trip. We would like to see tourist spots especially disneyland. Is there anything I can do on the 25th at night on Lantau Island? 9/26 is it possible to visit Big Buddha in the morning and spend the afternoon in Disneyland until closing at 8pm or will my disneyland tour be too rushed? hi.. pls help me make an itinerary..
we will arrive. on dec. 2 @ 12:50am and depart on dec 5 @1:35am. we are staying in mirador mansion. and i still dont know how to get there. what octopus card do you suggest that we should buy, the single airport express or the 2-way? we want to go to ngong ping, macau, disneyland, oceanpark, the peak and other places that you can suggest (that if we still have time). i hope you can also give me directions on how to get there..
Its my first time to travel abroad with my wife & my 2yr old son. Well be having 4 days & 3 nights vacation. Can somebody please advice us on our itinerary. Were planing a day at disney, a day at macau and any place that we can maximize our stay. Our trip is still by next year but i would appreciate it if i have an idea as soon as today. thanks! We will be arriving in HK around 7:00 in the morning. I am planning to go first to macau and stay there for 1 night. We want to stay in Hotel Regal. What is the nearest transportation or port at the HK airport going to Macau? And going to hotel regal? In the morning we planned to go back to HK and stay in Kowloon. What itinerary can you suggest in our stay in Macau and HK? thank you! We will be in HK on Nov 16, 9AM and will leave on Nov 19 at 9AM. Can you please provide us a good itinerary to make sure that we will be able to see all the attractions in HK? We are as well planning to go to Macau for a day tour. Kindly give us the cheapest hotel that we can have as well as the transportation going to the attractions. Hi, this is my first time to have an out of the country. Flight details is August 19 (9:15AM) - arrival at HKIA then departure will be on Aug.21(11:35PM) for 2 pax. 1. We want to maximize our stay so we are planning to go to Disneyland. Macau and OceanPark plus other nice places given the tight schedule. I was thinking of the itinerary below but i dont know how to get to each places. Day1 - Ngong Ping 360 and Disneyland plus any other suggested itineraries? 1. Go straight to Ngong Ping 360 then Disneyland from the airport. Is it possible? Is it safe to carry backpacks in Ngong Ping then leave our backpacks in Disneyland? Needs exact direction on how to get there from the airport: what is the fastest and cheapiest transportation we can take, how long is the travel time, how much is the fare? Day 2 - Ocean Park plus any other suggested itineraries? Day 3 - Macau (note same day flight at 11:35PM). Is it possible? 2. How much money should we bring for the whole stay? Planning to go to night market for shopping. 3. Where can we go for food trip? 4. Where can we stay? We are on a tight budget and just a need an accessible place where we can sleep at night and leave things in the morning. I am reaching around 2 in the afternoon on 14th June. Staying at Harbour Plaza 8 degree in kowloon. Have a morning trip to Ocean Park on 15th and would go to disneyland on 15th. 16th and 17 are in macau would like to visit shenzen for a day from macau. Could you refine my itinerary. Place of interest are npoing 360 avenue of stars maddam tusard tram ride etc. No idea about macau and shenzen. Early reply would be wonderful. * From your hotel to the Ferry terminal. Actually, you can take ferries at Hong Kong China Ferry Terminal located at China Hong Kong City, 33 Canton Road, Tsim Sha Tsui. Here's how to get there (post dated Mar 15, 2011). Also, I suggest you take the ferries @ Hong Kong Macau Ferry terminal in Sheung Wan as ferries are more efficient in there. Departs every 15 minutes and have a 24 hrs service. * First time in Macau, pls read the entire thread to give you the basic details you need. * Most of the hotels in Macau have a shuttle bus upon arrival at Macau Ferry terminal. Most attractions in Macau are located just close to each other and taking a taxi would be the most efficient way of transport. * When you get back to Hong Kong, could be late in the evening, I would suggest Lan Kwai Fong which is close to the ferry terminal. Getting to HK airport. An efficient travel option is to take the bus A21. About an hour travel between TST to Airport (GTC) @ HK$33. Hope this help and enjoy your HK and Macau trip! * Here are travel options in getting to HK Disneyland from HK airport. * There are luggage lockers at Hong Kong Disneyland (scroll down to the post dated Apr 27, 2011 on that page) for rent that you can use to stow your luggage before exploring the park. * Must see/try attractions in Ocean Park: Giant Panda, SkyStar and SkyFair Celebrations, Kids' World Playground (if coming with kids), Emperors of The Sky, cable car, (besides the thrilling rides) Atoll Reef, Dolphin show and Sea Lion Fun Time Show, Whiskers & Friends Show, Ocean Park Tower, the long escalator to Tai Shue Wan. * Disneyland to Ngong Ping 360. MTR trains from Disneyland to Sunny Bay station --> change to Tung Chung Line and get off at next station - Tung Chung station (16 mins @ HK$11.9). Take Exit B for NP 360 Cable car terminal. * Or, take Exit C for Citygate Outlets and then stow your luggage in there before heading to Ngong Ping. * Cable car ride between Tung Chung and Ngong Ping will take about 25 mins @ HK$125 - for round trip ticket, recommended. Or here's to read NP360 pricing table. * At least 4 hours to explore Ngong Ping will cover most of the attractions NP has to offer. * Getting to Ocean Park from Ngong Ping. Cable car back to Tung Chung --> Tung Chung MTR train all the way to Hong Kong station --> transfer to Central station --> Island Line train and get off at Admiralty station and then take Exit B (40 minutes @ HK$18.8) --> bus 629 straight to Ocean Park (25 mins @ HK$10.6). Hello. :) We'll visit HK this April 26-29. Then go to our Hotel at Metropark Hotel Kowloon. Go to the Venetian hotel and other must see attractions. Can you suggest what other must see attractions? We plan to go back by late in the afternoon before the sun sets. When we arrive again at HK, what places can we still visit to maximize our stay? 9 am we go back at the airport. We are 1st time going to Hong Kong and Macau, a family 4 adults & 2 children (4 & 2 years old). We are arriving at Hong Kong airport around 5pm on 25 June 2012. We are planning go directly to Disney Hollywood Hotel by Taxi, do check in, have our dinner at hotel restaurant and see fire work from our hotel room (park view). On 26 June, we are planning to have our breakfast at hotel restaurant, play at Disneyland, have our dinner at Yung Kee 32 Wellington Street, go to Yung Kee by MTR from Disneyland. After that go to The Peak. On 27 June, we need a car to pick up from Disney Hollywood Hotel to Kowloon Shangrila Hotel to keep in trust our extra luggage. We are planning to have our breakfast at TIM HO WAN 2-8 Kwong Wah St, Mongkok. After that go to Hong Kong Cina Ferry terminal and take a Turbo Jet to Macau. When reach Macau we are planning go directly to Galaxy Macau Hotel by Taxi, do check in, walk to Venetian Macau Hotel, shopping at there. After that have our dinner at A Lorcha restaurant. On 28 June, we need a car and a private tour guide to bring us city tour at Macau. On 29 June, we are going back to Hong Kong and directly go to Kowloon Shangrila Hotel to do check in. We are planning to have our breakfast at Maxim Palace City Hall, do shopping at Times Square Shopping Centre and Causewaybay area. After that have our dinner at Megan's Kitchen 5/F Lucky Centre 165-171 Wanchai Road. On 30 June, we need a car and a private tour guide to bring us city tour Hong Kong. On 1 July, we need a car to pick up at Kowloon Shangrila Hotel at 9 am and send us to Hong Kong airport, our flight is at 12:45 pm. 1. What do you suggest about our planning above? 2. Can we see fire work from our park view room at Disney Hollywood Hotel? 3. What is the best transportation from Yung Kee to The Peak? 4. What is the best transportation from The Peak to Disney Hollywood Hotel? 6. How much is the rate for car rental and private tour guide? 7. Is Hong Kong China Ferry terminal is the nearest and the most convenience from 2-8 Kwong Wah Street, Mongkok? 8. What is the best transportation from Kowloon Shangrila Hotel to Maxim Palace City Hall? 9. What is the best transportation from City Hall to Times Square shopping centre? 10. What is the best transportation from Times Square or Causewaybay to Megan's Kitchen Lucky Centre 165-171, Wanchai? 11. Do we need private tour guide in HongKong on 30 June? Or we can walk from Kowloon Shangrila Hotel to Avenue of Star, Nathan Road and others famous place by ourself? 12.What can we do or what must we do in Venetian Hotel Macau? 13.Can we go to A Lorcha, 289 Rua do Almirante Sergio from Venetian Hotel by 1 taxi? The places that I could recommend for best of picture taking at night are the Victoria Peak and along the Victoria harbour area for Symphony of Lights. You may also try the DHL HK Balloon. Day 1 : morning day, take a pict in Nathan road - Mongkok (FYI: we'll stay at Kings de Nathan) and after lunch, we'll go to Disneyland 'till nite, waiting the fireworks..I love HK in the nite, can you tell me, where's the best place to take picture in the nite? I love crowded ambience and lighting. Day 2: I want to take picture at Avenue the star, symphony of lights, Victoria peak, sky terraces, time square...can you help me make our itinerary for our pre wedding shoots in 2 days? We're from Indonesia. Thanks so much. Really need ur help. It is about in the middle of spring season on April 26-29 where average temperature ranges from 18degC - 27degC with humidity about 82% so you don't need to worry about the type of clothes you packed. You can wear anything you want. Evenings can be cool so you may need lightweight jackets. I think you're correct, saying that women high fashion clothes are rampant in Hong Kong specially on that time. 1) To give you some overview of how much you spend while in HK, please see this page. 2) Just purchase an Octopus Card (details in this page) each one of you and "Child Octopus Card" for your kids below 12 yrs. old. 3) Taxis in Hong Kong can accommodate 5 persons maximum (child or adult). 4) Children below 12 yrs old and seniors above 65 yrs. old are usually entitled to a half fare in most of HK's public transportation like buses, mtrs, and ferries. Taxes should be based on the number of days of your stay. The advantage of getting the ticket online is to avoid the usual long line if buying it at the park's entrance. 4) are there discounted rates for kids in the mtrs and buses? Hello! Are the hotel taxes multiplied by the days of stay in the hotel or the tax is already for the whole stay? I would highly recommend that you use our fast and easy hotel search tool from "hotelscombined" that you can find on the top right column in this page or simply click here. It is very easy to use, just input or type "Hong Kong" in the destination box, provide dates of your stay, input number of persons or guest, and then click search button. In just seconds, it will give a list of Hong Kong hotels that you can choose depends on your preference location and price. Here's my suggested itinerary to maximize your trip. Getting to your hotel from HK Airport (post dated jan 27, 2012). Here's to read travel instruction in getting to Disneyland (post dated jan 26, 2012). Getting to the Ladies' Night Market from Disneyland. And then getting to Ocean Park. Getting to the Peak, Star Ferry and Avenue of Stars, please read this post for complete travel instruction. I would like to ask for your suggestions on how we can plan our trip this July 6 and 7...we will arrive in HK at 1am on the 6th and we will be staying at Hotel L Nina Convention Center....We will leave HK on July 7 midnight...We plan to go to Disneyland and Ocean Park since we will be bringing along our 3 kids with us. We also want to visit the Avenue of stars and the night market...please also give me an idea on how we could get to our hotel safely on July 6....Thanks so much!!!! For recommended HK hotels, just scroll up and left navigation of this page to find the list. Can you suggest an itinerary for our day 1 HK tour? We plan to go to Macau on the second day and HK disneyland and still other tourist spots near it on the 3rd day. What hotel can you suggest that is near the tourist attractions and offers free shuttle? Yes, you may buy your tickets online. Please click here for online ticket information. It'a a peak season most of the time in Disneyland but the park is up and ready for that for your convenience. Getting to Avenue of Stars from Sun Kong Hostel: Take the Island Line going to Sheung Wan but you need to get off at Admiralty station. Interchange trains to Tsuen Wan Lines going to Tsuen Wan and get off at Tsim Sha Tsui station, exit B (10 minutes @ HK$9.9). Follow directional signs going to Avenue of Stars. Thank you very much 4 ur help. Where can we fix The Sranley Market? Also, it will be crowded Disneyland? Can we buy the tickets online? Here's my suggested itinerary to maximize your stay. We are flying this afternoon to HK from Guilin, we will be arriving by 18.30 today 24th January. We would like to do something tonight and then if you can suggest to us the best itinerary for 2 days in HK we will be flying back to Shanghai on the 27th at 13.40. We wanted to go to Disneyland to enjoy the fireworks and just some atractions, we don't have tine to enjoy the full day, so could you please suggest your ideal itinerary including the most important "must" in HK ? re:macau and disneyland in one day? Re: macau and disneyland in one day? AH SHAN HOSTEL is located at 1406, 14/F, Sincere House 83 Argyle Street,Mong Kok. Going to those places you have mentioned require a one full day to visit. I suggest you spend a day at Disneyland and a day in Macau to maximize your tour. 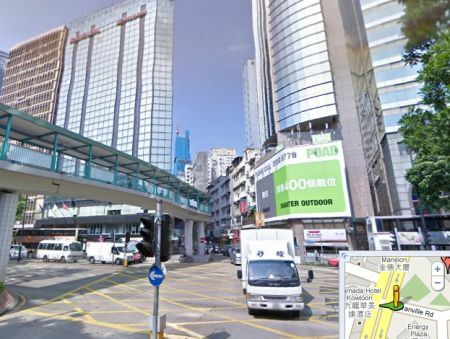 *Getting to China Ferry Terminal from Ah Shan Hostel: Get to the nearest MTR station and take the Tsuen Wan line going to Central and get off at Tsim Sha Tsui station Exit A1 (7 minutes @ HK$4.6). China Ferry Terminal is located at 33 Canton Rd, HongKong. Follow directional signs. *Getting to Disneyland from Ah Shan Hostel: Take the Tsuen Wan Line going to Tsuen Wan and get off at Lai King station. Interchange trains to Tung Chung Lines and get off at Sunny Bay station. Interchanges trains to Disneyland Resort Line. (33 minutes @ HK$17.0) Don't miss the "Disney in the Stars" fireworks at 8pm. macau and disneyland in one day? To get to Shenzhen, get into the nearest Tsim Sha Tsui MTR station. Take the Tsuen Wan Line going to Tsuen Wan and interchange trains at Prince Edward station. Take the Kwun Tong Line going to Tiu Keng Leng and interchange trains at Kowloon Tong station. Take the East Rail Line going to Lo Wu and get off to that last station (54 minutes at HK$34.8). Here's to read information about China Visa. Can you please give us a detailed route on how to go Shenzen from Hongkong. We are staying at Lucky Hostel Chung King Mansion. We are planning to go to Shenzen but we do not have any idea on what transportation to use, how much it cost and how to get a visa. Also,what is the estimated time of getting a visa. Is the line too long? feb 4: Ocean Park --> Victoria Peak (via the Peak tram then pop into Madame Tussauds located at the Peak) --> Star Ferry--> Avenue of Stars --> Symphony of Lights at 8pm --> Jumbo Kingdom or Lan Kwai Fong. I will be arriving in HK on February 2 9PM and will depart on February 5 10:40AM. Now as you can see we have a very limited time there so is there any suggestion for a short trip there? i am planning to go to Ngong Ping on friday morning, then spend the whole afternoon till night in Disneyland then proceed to Ladies Market till midnight. is there any good suggestion so i can make most of my time here? Also, get to Ngong Ping early in the morning to start your Disneyland tour at noon. Most of the major attractions in Hong Kong have luggage lockers for rent. You may also leave your luggage in storage lockers in some malls. Just bring along with you your valuables. Yes, you may get back to Hong Kong on that same day in the evening since most of the attractions in Macau can be covered in one day. The last trip of the ferry would be at 10:30pm. It's safe to be at the airport atleast 2 hours before your flight to avoid the rush. Ocean Park, like Disneyland, requires a full day activity but you may leave late in the afternoon. I have another question in mind. :)) Is there any baggage counter where we can put our luggages temporarily while waiting for the check in for the hotels? For us to travel without our luggages. Is it safe? Hello. It's me again. :) If we'll go to Macau in the morning. Is it possible for us to go back in Hongkong that evening or before the sun sets? And will it still be possible to visit the giant Buddha and other lantau attractions before going to the airport on the 29th? Thank You Again! You are very much of a great help! For recommended HK Hotels, please scroll up and to the left navigation in this page for the list. Yes, all the attractions in Disneyland will be covered in one full day including the shows and rides especially the finale fireworks. Hello. :) My family will be having a trip to hongkong from April 26-29 2012. We'll arrive hk at 7:40 am and leave on the 29th at 10:40 am. For our 1st day, we plan to tour the popular attractions in hk including Ocean park, Ngong Ping, Avenue of Stars @ Victoria Harbour, Symphony of Lights, Star Ferry, Peak Tram, Victoria Peak, giant Buddha and other lantau attractions, Madame Tussauds, Times Square, and other museums and shopping centers. Question: Is it doable in one day? And what hotel can you suggest? For our second day, we plan to go to macau. But i have no idea what places to visit. Can you suggest any? For our third day we plan to visit HongKong disneyland the whole day until the next day for our flight return to manila. Question: Is it possible for us to visit all the attractions in disneyland for 1 day? * Nov 25: Macau to Shenzhen, actually you can take the Ferry from Macau Ferry Terminal to Shekou Shenzhen (90 mins @ MOP210 - economy class), also you'll need to prepare your China visa upon arrival at Shekou as you'll enter the mainland China --> and then take the Metro train Shekou Line from Shekou Port "Shekou Gang" station to Window of the World station (25 mins @ RMB5) --> explore Window of the World --> take the Loubao Line train from Window of the World station and get off at Luo Hu station (31 mins @ RMB5) --> proceed to the popular Lo Wu Commercial Building for bargain shopping. It is strongly recommended to get your China VISA before your trip (in Philippines) to avoid any hassle and waiting if processed in HK. * Nov 26: Maybe a visit of 1 or 2 HK Museum and a final shopping at well-known shopping malls around TST area before going to HK airport for departure. It is a great place to stay (in TST area) during your Hong Kong stay. * Nov 22: HK-airport (1:00pm) ==> Ngong Ping 360 (until 5:00pm) ==> Citygate Outlets (until 7:30) ==> hotel at TST. Take a taxi (10 mins @ HK$40) to Tung Chung NP 360 cable car Terminal --> take the cable care to Ngong Ping (25 mins @ HK$115 - round trip ticket) --> Explore Ngong Ping and the rest of Lantau island attractions --> take the cable car back to Tung Chung --> walk to the nearby Citygate Outlets for shopping and dining. From Citygate Outlet at Tung Chung --> get into the Tung Chung MTR station --> take the Tung Chung Line train and get off at Lai King station --> interchange trains to the Tsuen Wan Line and get off at Tsim Sha Tsui station (38 mins @ HK$14.1). * Nov 23: Ocean Park (morning until 4:00pm) ==> The Peak (until 7:00pm) ==> TST promenade to visit the Avenue of Stars and watch the Symphony of Lights show that starts at 8:00pm. Get into the TST MTR station and then take the Tsuen Wan Line train and get off at Admiralty station Exit B. Upon exit, follow the rest of the instruction that you can read in here. * Nov 24: HK Disneyland (morning until 4:00pm) ==> Macau (for 1 night). To Disneyland from TST, get into the TST MTR station and then take the Tsuen Wan Line train and get off at Lai King station --> interchange trains to the Tung Chung Line and get off at Sunny Bay station --> interchange trains to the Disneyland Resort Line to Disneyland station Exit A (38 mins @ HK$17). From Disneyland to Macau, get into the Disneyland MTR station and take the train to Sunny Bay station --> interchange to the Tung Chung Line and get off at Hong Kong station --> walk to the adjacent Central station --> take the Island Line train and get off at Sheung Wan station Exit D to get into the Hong Kong Macau Ferry Terminal --> take the ferry to Macau (55 mins @ HK$151). Please suggest an itinerary for us. Our trip is on Nov 22, 2011, we will arrive HK at 1:10 p.m. and we will depart HK on Nov. 26, 2011, 5:45 pm. We are planning to stay in a hostel in TST area. And, we plan to stay for 2 days 1 night in Macau. We would like to go in Shenzhen too. Is it advisable if we apply for a Visa in the Philippines or in HK instead? Re: Cash to bring for 3 days in HK. Hong Kong and Macau cost of living and transportation standard are quite identical. Your Hongkong Guest House budget would be about HK$300 per night. * Ngong Ping 360: I suggest you take the cable car from Tung Chung. Get a return ticket is ideal. Bus is quite slow and taking a taxi will also takes much time than cable and much more expensive. * Hong Kong Disneyland. Please refer also to this topic discussion, Budget for HK Disneyland travel. * Peak Tram and Sky Pass, all in your Victoria Peak visit. I recommend you purchase the Peak Tram Sky Pass (The Peak Tram & Sky Terrace) return ticket for HK$65, you'll save HK$5 as the ticket price are HK$40 (peak tram round trip ticket) and HK$30 (sky terrace). * Macau visit. Please also read this topic discussion, HONGKONG-MACAU TRIP (first timers) ITINERARY for more information to your budget planning. Also, upon arrival at HKIA, go to the Airport Express counter that can be found at the arrival hall and then buy an Octopus Card. Using the card when touring around HK will give you some discount on fares and save much of your time, highly recommended. It is very easy-to-use, it is an electronic smart card which automatically deducts fares for most major local transportation such as MTR trains, bus, and even some stores like 7-Eleven. Before departing HK, return your octopus card at the same counter and obtain a refund and the remaining balance of the card minus a handling fee of HK$7. Normally, an HK$100 per day budget for your transportation in Hongkong should be fine. Cash to bring for 3 days in HK. If we're going to Ngong Ping 360, Disneyland, Peak Tram and Sky Pass, and Macau, how much money is it advisable for us to bring? We're a family of four (all adults), staying for 3 days and 2 nights at the Park Guest House in Tsim Sha Tsui, Kowloon. thank you. Kowloon Shangri-La Hong Kong hotel is a 5-star award-winning hotel for its legendary warm and friendly hospitality. It is safely and conveniently located at 64 Mody Road, Tsim Sha Tsui East, Kowloon. * Bus (CityBus CTB A22) from Airport Ground Transportation Centre to 3 Jordan Road, Jordan, Kowloon before Chi Wo Street, 31 minutes @ HK$39 + 8 mins @ HK$20 taxi drive to the hotel or MTR trains from Jordan MTR station (B2) to Tsim Sha Tsui station, 3 mins @ HK$3.7 then 10 mins walk to the adjacent East Tsim Sha Tsui Exit P1. Here's the location map of Kowloon Shangri-La Hong Kong hotel & tourist attractions nearby. Hong Kong in general is a very safe place to travel. For hotel preferences, stars, price, or location, you may follow this link for hotel search. Here are the HK itinerary recommendation for a 2-days HK and 1-day Macau tour. * ITINERARY for 5 days and 4 nights including Macau. Macau is a small place and getting to the airport is quick by taxi so no need to worry. Also, no need to book in advance for ferries in getting to Macau, just go directly to the Ferry terminal. We are a 1st timer going to Hongkong, a family of 2 adults and less than a year kid. Our flight days will be on May 4-8, 2011. We are from Phils,our flight this coming May 4,2011 @ 2215hrs, arrive in HK @ 0050hrs. We prefer to stay in Kowloon Shangrila hotel. Is it near from airport? Is it safe enough? Any hotel that you can suggest to us which is cheaper and safe for us. Is it near to Disneyland? any itinerary you can suggest to us? The 2 days, is it enough to go stroll around HK? Then,the 1 day trip to Macau, any place to go? Where to book for ticket going to Macau? how much? our departure from HK will be on May 8 @ 0135hrs, is it ok still to go for Macau? I'm really pleased all the answers from you. Thanks so much. Re: Suggested itinerary for 2 days in Hong Kong and 1 day to Macau trip. To your right upon exiting from HKIA arrival hall is the airport bus terminal. Take the Citybus (Cityflyer) A21 and get off at 2nd bus stop station (Hong Kong Science Museum, Chatham Road South), 1st bus stop is Hung Hom Station. Upon getting off from the bus, look for the directional signs going to the intersections between Granville Rd and Chatham Rd (just block away from that bus stop, refer to picture below), that tall building (left side) is your hotel. Take the over pass to safely cross the Chatham Rd. Bus travel time is about an hour, HK$ 33.0 (half fare for Children under the age of 12 & Seniors aged 65 or over). Here's a suggested itinerary for about 2 days in Hong Kong and 1 day to Macau trip. Just post your comments here if you have any further inquiry. Enjoy your trip.